My cupcaking in the Tampa Bay area has been almost nonexistent. I've lived here for over 4 months and have only ventured out twice to find some cupcakes. So when I found myself in the neighborhood of a cupcake bakery today, I knew I had to stop by to sample one. 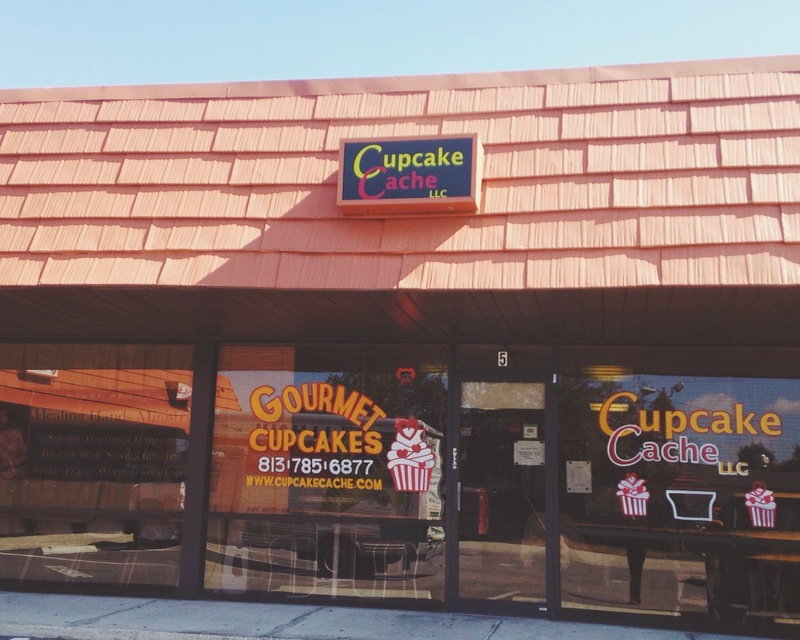 Cupcake Cache is just around the corner from the Busch Gardens theme park and not too far from the University of South Florida. Each cupcake from the bakery is topped and stuffed with frosting, making it quite a delectable treat. Today, there were 16 cupcakes available: 8 larger ones for $3.50 and 8 regular sized for $2.50. I opted to order a dirty vanilla, which was a regular sized cupcake that was a red velvet cake topped with mascarpone frosting. Before I dove head first into the cupcake, I decided to stop by the nearby Mel's Hot Dogs for a taste of Chicago all the way in Florida. Well, it's sad to say that my Chicago dog wasn't stellar. 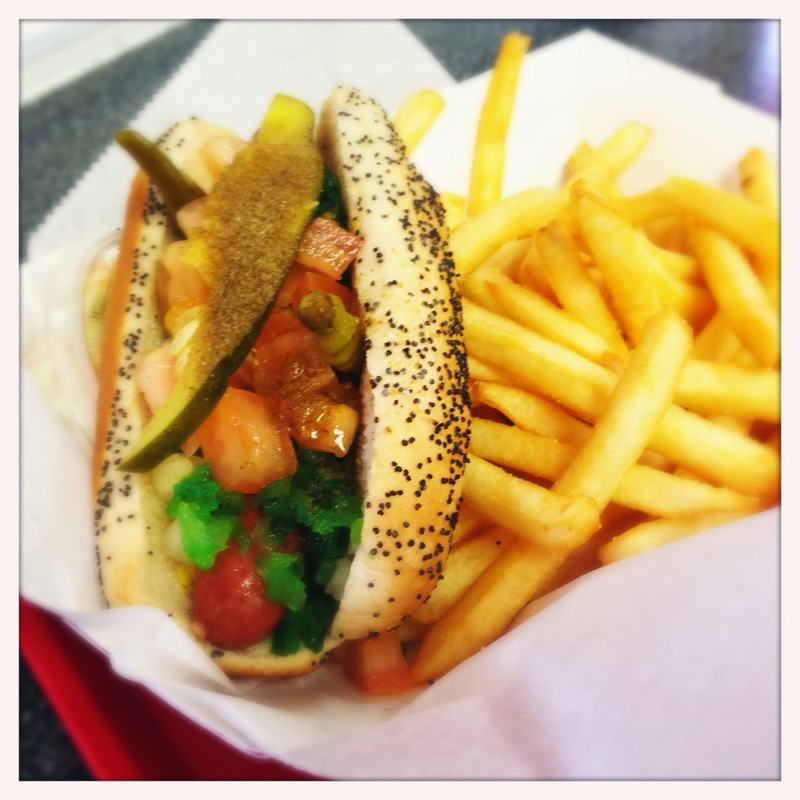 Something was a bit off and it made me homesick for a proper Chicago dog. After a disappointing hot dog, it projected some reservations about my cupcake. 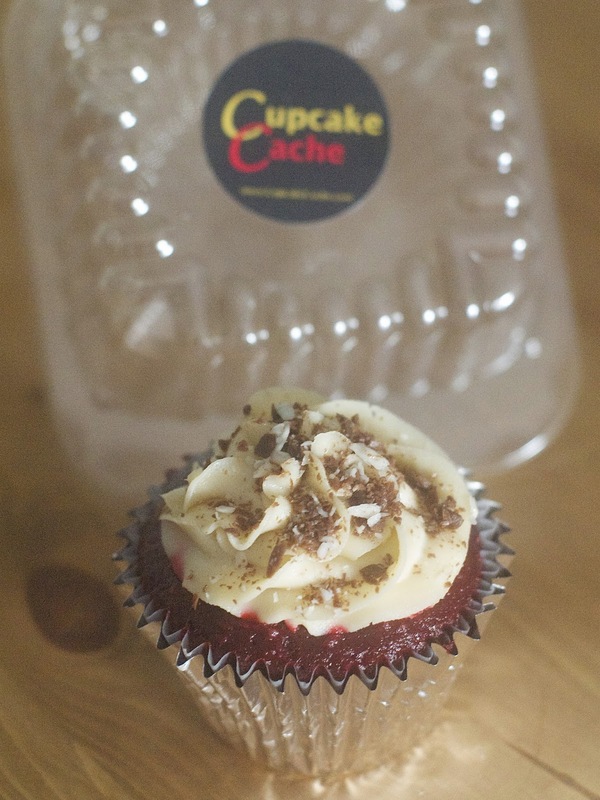 But after a long day at work, I finally sampled the cupcake, which made a perfect treat when I arrived home.